I know for the some of the students when Federal Board announces results they are in doubts, confusions and chaos. It happens most of the time with Urdu, English and Islamiyat because students think he will get exceptional marks, but it is not the case because of the strict checking of papers at HSSC level. 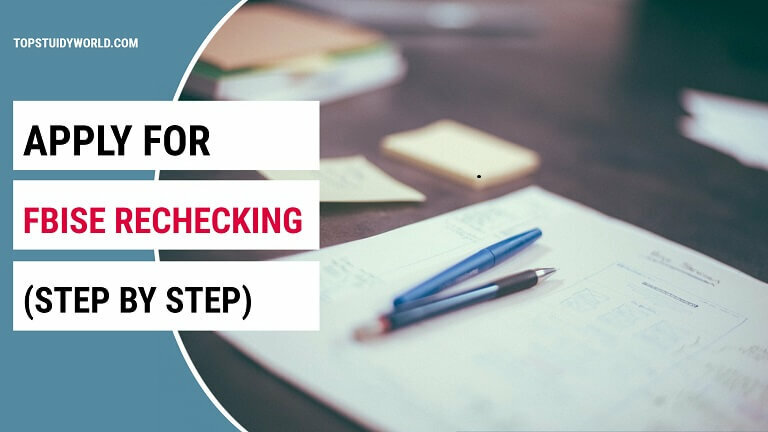 This guide is for SSC and HSSC students of Federal Board who want to know how to apply for rechecking, it would be step by step guide so that you can apply. 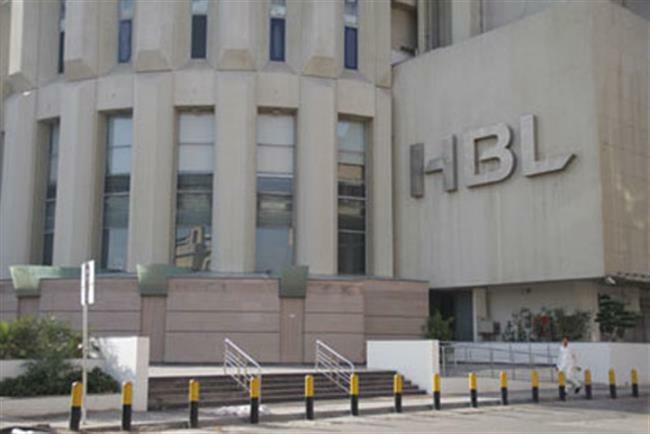 It is worth mentioning that you should apply for rechecking of papers within 20 days after announcing the result otherwise it will not be applicable, except taking permission from the Chairman of Federal Board by going to his office in Islamabad for the next 10 days. It is not a hard job rather it's more easy and affordable. I'm sure you will face no problem after reading this. 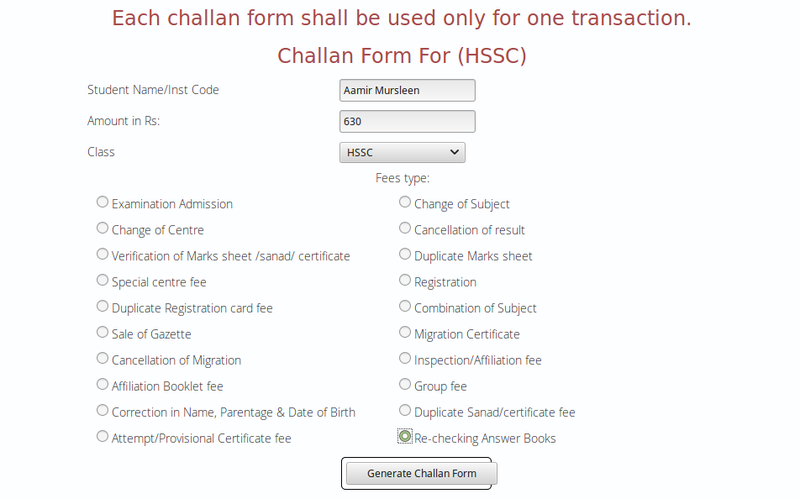 First of all, you have to generate a challan form. 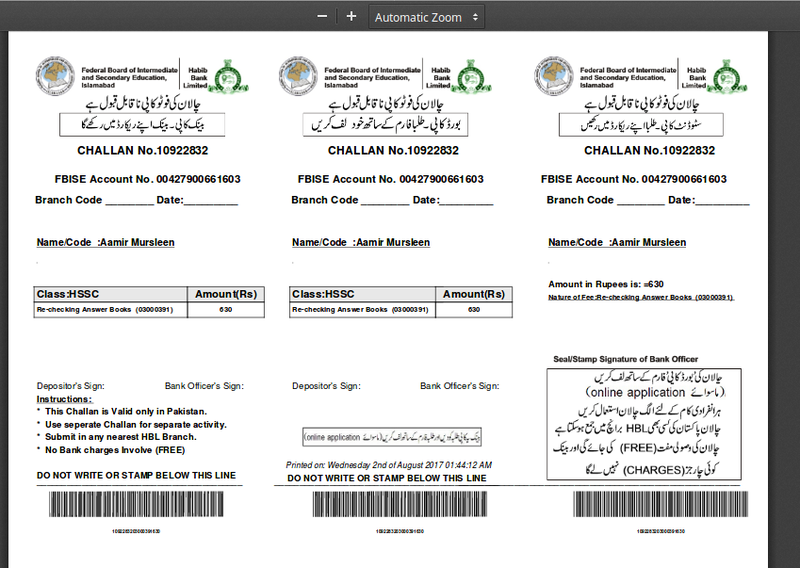 For this go to FBISE Challan, and read everything what is written there. Check the price below you have to pay, and write in the Challan form. And after checking, click your respective class: SSC for 9th and 10th, and HSSC for 1st and 2nd year. Step 2 - Print it Out the generated form so that you can take to the bank and deposit. Now go to Online Application, and write your basic bio, and select the subjects you want to take improvement. Select the subject and click the arrow button (→) that will turn green once you touch it. It will add the subjects to the right column. If so, click on the year, then month and then the day. It is important because deposit date helps to find the right transaction. Now fill it with your postal address where the rechecking detail will be sent, your phone number and e-mail. Now check the detail and submit. Now you have to wait. Here is the complete step-by-step guide with pictures how you can apply for rechecking of any papers of SSC, and HSSC in FBISE within 20 days when the Federal Board result it out.